I absolutely LOVE what this site calls "Soccasins"! So comfy looking. Here is the pattern. The oh-so-cozy cottage sock pattern #1 here and #2 here. You may have to register with Lion Brand Yarn in order to view them, I'm not sure (I would suggest it, as they have so many fabulous free patterns!). 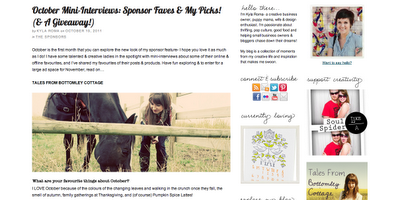 And as a side note, I would like to announce my recent advertisement and sponsor feature post on Kyla Roma's blog. 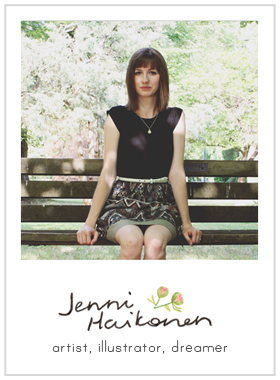 She has such a beautiful blog design and so many wonderful ideas. I find a lot of inspiration looking at her finds around the internet and reading about her daily life! The sponsor profile this month also features some great blogs and shops which you should be sure to check out! Thanks, Kyla! 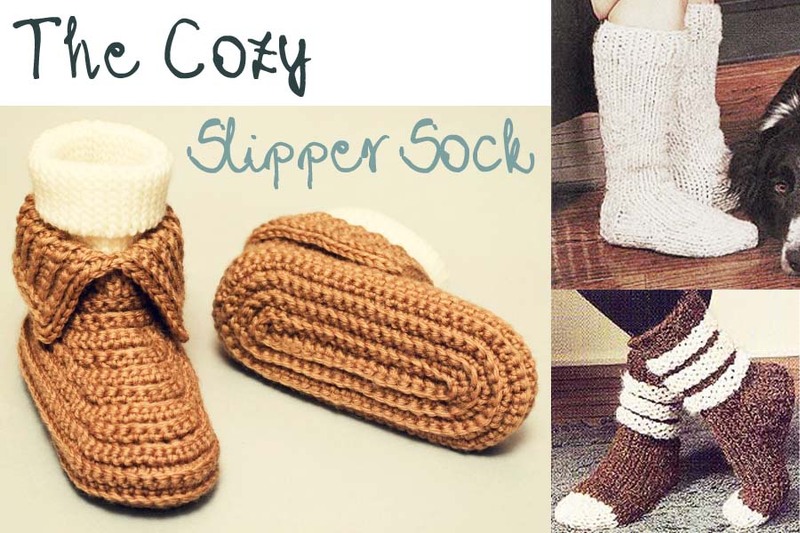 sockasins look like something I would definitely be wearing every day! good work on the sponsor feature jenni! so proud! These look amazingly warm and wonderful for winter. Along with your mom's cool mittens below. All you need is a good mug of cider. I am really glad that I stumbled onto your blog. Your art is beautiful.